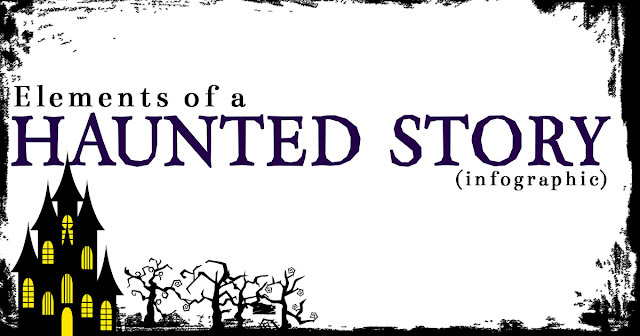 I don't even know what it is about paranormal stories that gets me excited. Maybe it's the language. Those atmospheric descriptions. But, I also love haunted house movies. Maybe it's the scares. 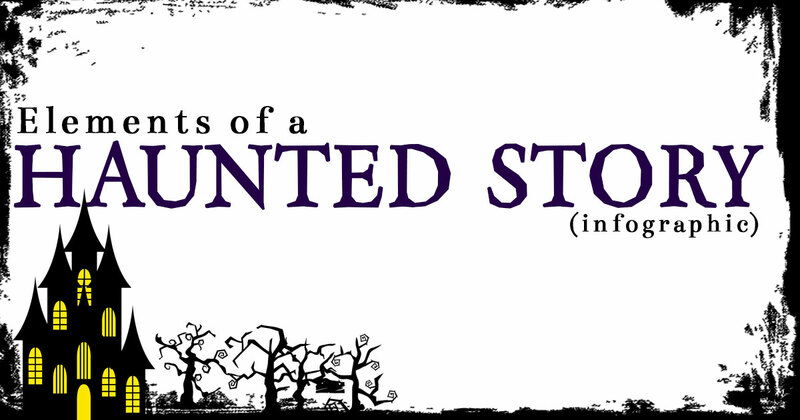 When done right, a haunted story can be so creepy it gives life-long horror lovers the willies. 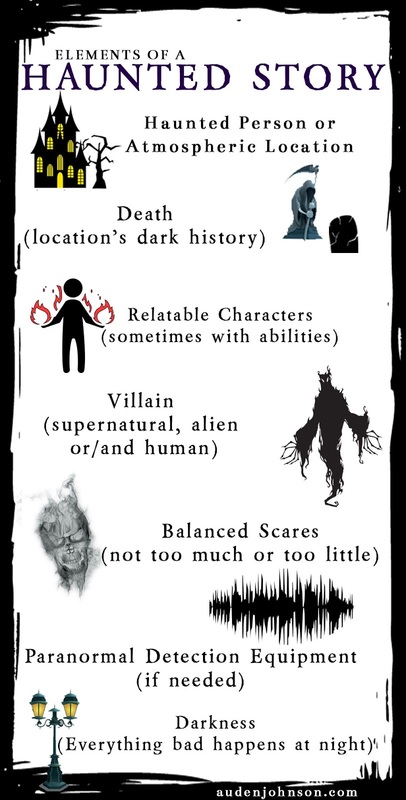 If you want to write a terrifying haunted location story, consider adding some of these element to the mix. Creating an infographic is something special. It take a lot of images. Fortunately, I once again have a monthly subscription with Shutterstock. I get 10 image downloads a month. Not the best number but it's all I can afford right now. This infogrpahic nearly used up all my monthly downloads. Stock photos sits often have image sets. It's a page full of icons like the ones you see above, mostly used for infographics and websites. If you're lucky, you can find one image set that has all the icons you need. I wasn't so lucky. I found some found good icon sets but they didn't have everything I needed. I'll probably write another post about designing infographics. You totally should write that post about designing infographics. I'd like to make them, but I have no idea where to start! Cool. I'll definitely be writing that post, now. I look forward to that next post. Glad to hear it! I'm looking forward to it as well. It should be fun to write.